The aim of the European Union’s policy in the financial services sector is to create an integrated Europe-wide single market through a framework of legislation, co-operation and practice within which financial services can operate as a whole across borders to achieve the free movement of capital and services. The policy addresses the “wholesale” (corporate and capital) markets and the “retail” (consumer) markets as well as the underpinning services such as the clearing and settlement of shares and integration of payment systems. There are two basic levels at which financial services can be carried out. At the wholesale level, investors and companies issue, buy and sell shares and securities; they raise capital and deal in different financial instruments through the stock markets. At the retail level consumers buy mortgages, insurance, pension schemes and savings plans. Each member state has its own set of regulations governing such transactions. 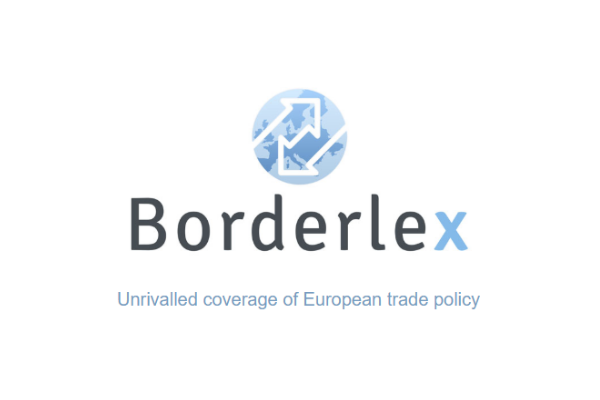 The EU policy is to establish a set of rules allowing companies to establish themselves in different member states and operate more easily across borders. Similarly, it aims to allow consumers access to mortgages, mutual funds and other financial services available in countries other than their own. Efforts to promote the integration of financial services in the EU began in 1973 on a piecemeal basis, but the impetus for an overall framework came at the 1998 European Council. The Commission prepared the Financial Services Action Plan (FSAP) to tackle inflexible market structures, legal and supervisory barriers and administrative difficulties. The FSAP became a pivotal part of the Commission’s long-term economic programme, set out at the 2001 Lisbon Council. Substantial progress has been made towards integration of the wholesale financial market through the near completion of the FSAP at the end of 2004 (93% of the measures have been adopted). On the retail side, progress has been slower: legislation, in an area where cultural and different legal traditions play a major part, may not be an effective way forward and debate continues on how best to facilitate consumer access to financial services. The complex nature of wholesale financial services legislation necessitated special procedures which were developed by Baron Lamfalussy. The system allows legislation to be developed in a four-stage process. The EU institutions determine the essential policy rules and experts in the relevant areas then work-out the detailed technical issues and supervise implementation. The expert committees are the Committee of European Securities Regulators (CESR), the Committee of European Banking Supervisors (CEBS) and the Committee of Supervisory Bodies for Insurance and Pensions (CEIOPS). The process was used at first only for securities legislation but has been extended to include banking, insurance and pensions. The substantial completion of the FSAP marked the end of the heavy legislative process towards financial services integration embarked on by the Commission in 1999. Some important legislation is still pending, however: the consumer credit directive, mortgage credit, and, on the wholesale side, the prospectuses, market abuse and insurance directives. Implementation of Basel II and MiFID continue. Solvency II will establish capital rules for insurance firms, as the capital requirements directive did for banking. No legislative action has been taken on clearing and settlement but the Commission could still decide to do so. The pensions issue also remains outstanding. Associated sectoral studies by DG Competition into payments cards, core retail banking and business insurance may also provoke new regulations, albeit more targeted at market abuses or failings. However, the emphasis of the 2005-2010 policy is on implementation and consolidation of the FSAP measures, a ‘regulatory pause’, rather than a raft of new rules. In order to increase the participation of consumers in the development of financial services regulation, the Commission inaugurated the Financial Services Consumer Group in June 2006. The group consists of representatives from consumer organisations from member states as well as consumer organisations active at EU level and complements the existing experts group, FIN-USE. In addition, the Commission has launched a newsletter for consumers: Fin-focus. FSAP: this was a five-year plan, commenced in 1999, containing a set of 42 legislative measures. It included, on the wholesale side, common rules for integrated securities and derivatives, raising capital on an EU-wide basis and comparable financial reporting through accountancy rules. On the retail side, the emphasis was on information and transparency, redress procedures, charges for cross-border transactions and safeguards for e-commerce. The plan was completed at the end of 2004. Mortgage credit and consumer credit: The updating of legislation in this area is proving problematic as it involves the politically sensitive area of consumer protections. In 2005 it was decided to have separate European legislation relating to mortgages on the one hand and other smaller consumer loans. However, proposals for an updated consumer credit directive, despite numerous changes, are proving controversial and those on mortgage credit are still in the early stages. Financial fraud and money laundering: Security of electronic transactions is an essential element of the single payments system. As new payment methods are developed, new methods of fraud appear and the industry must introduce anti-fraud systems. The issue of money laundering has been also become far more important in recent years due to its link to the financing of terrorist organisations. The rules have been updated in the third money laundering directive adopted in October 2005. The current policy is contained in the 2005-2010 financial services White Paper. In July 2006, the Commission opened a public internet database of national implementing laws.